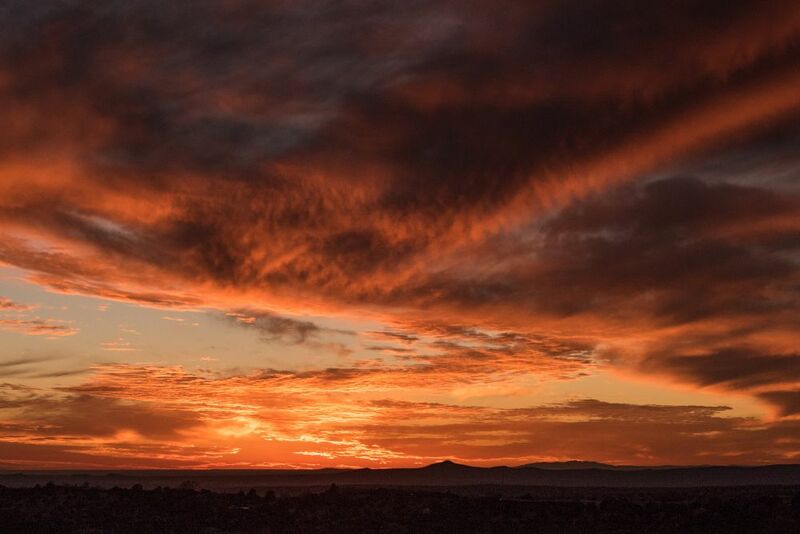 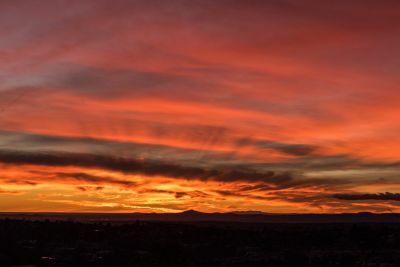 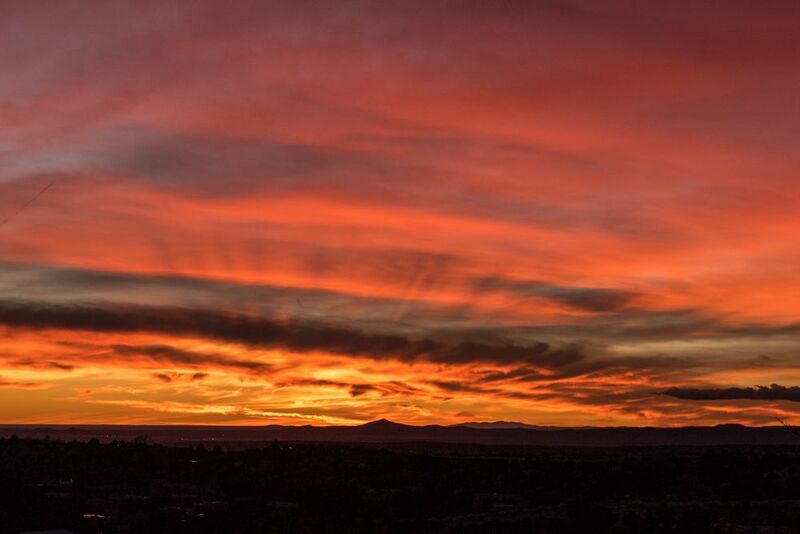 Ravishing sunsets & sweeping mountain views. 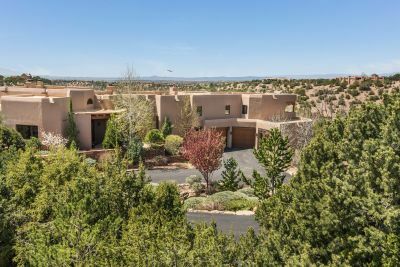 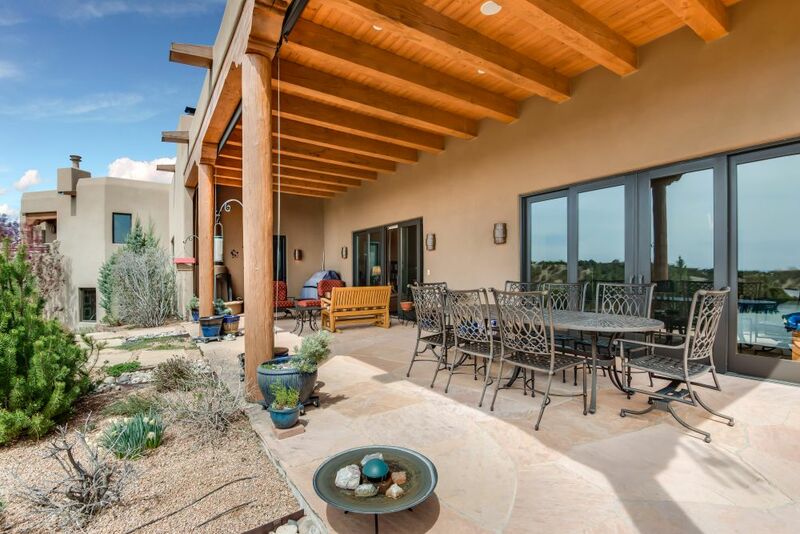 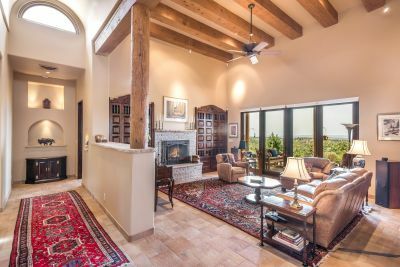 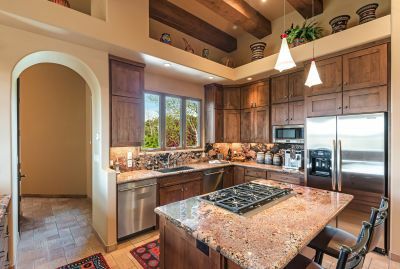 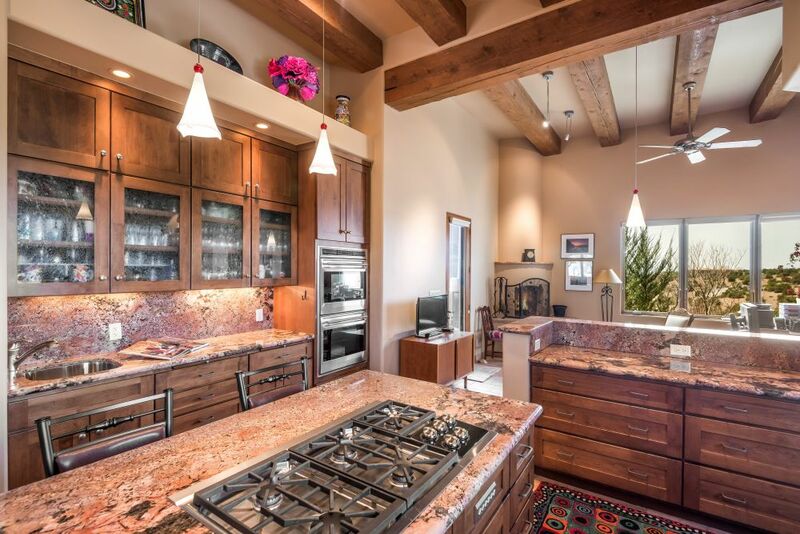 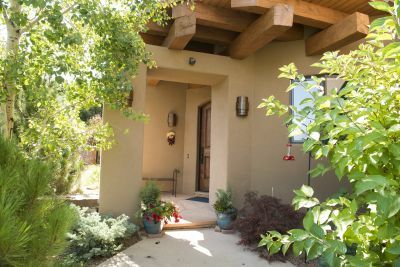 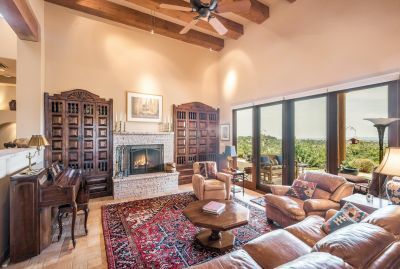 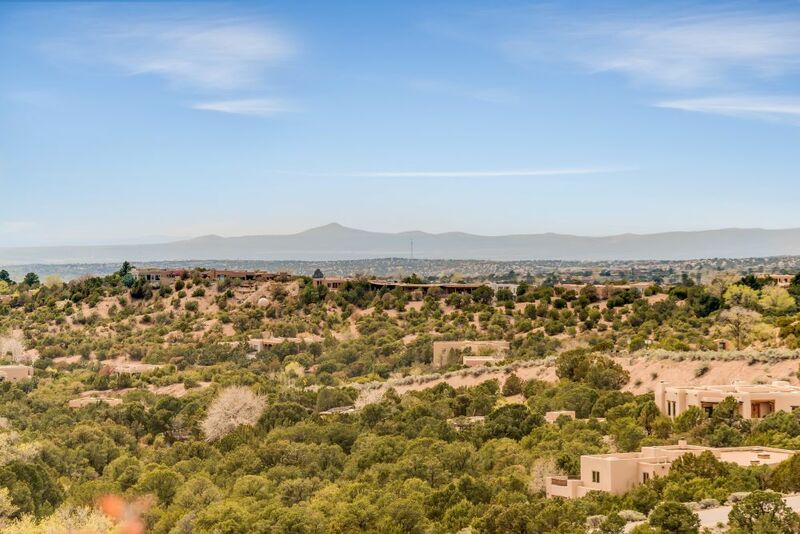 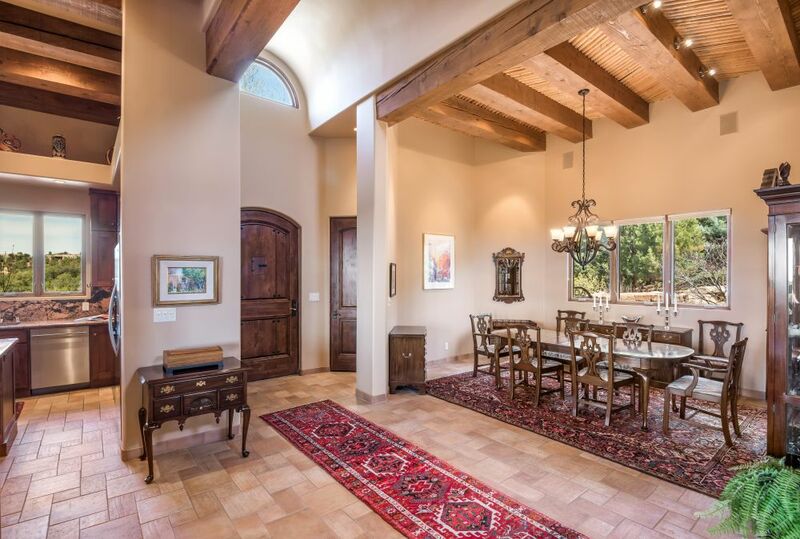 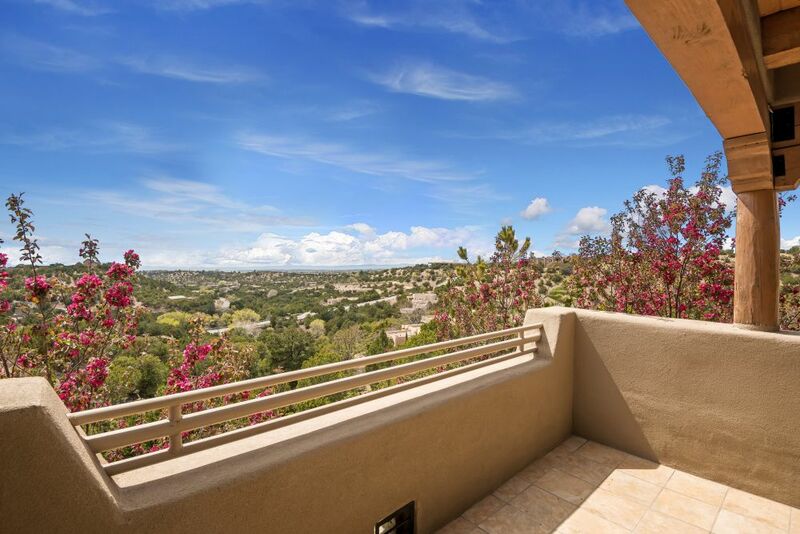 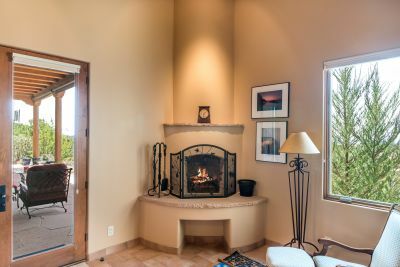 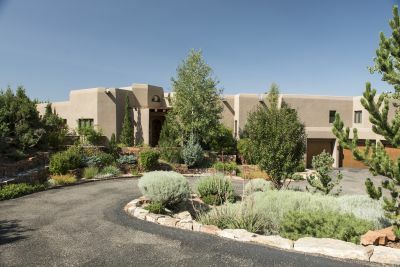 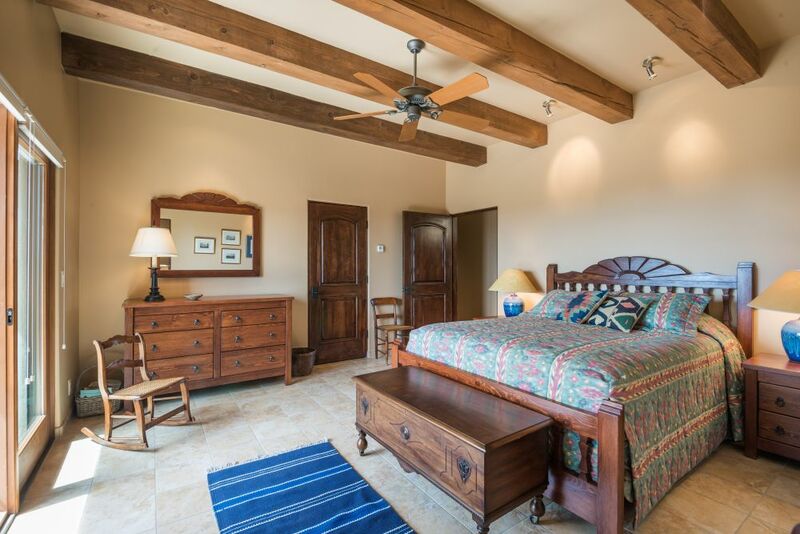 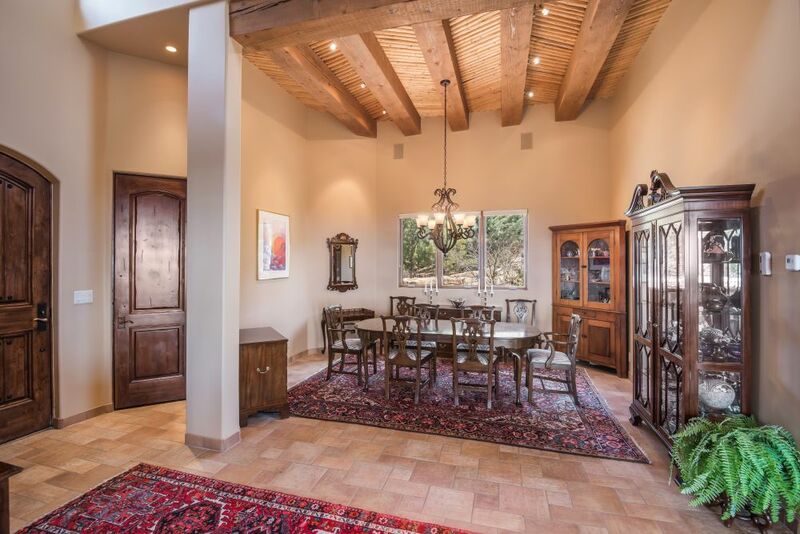 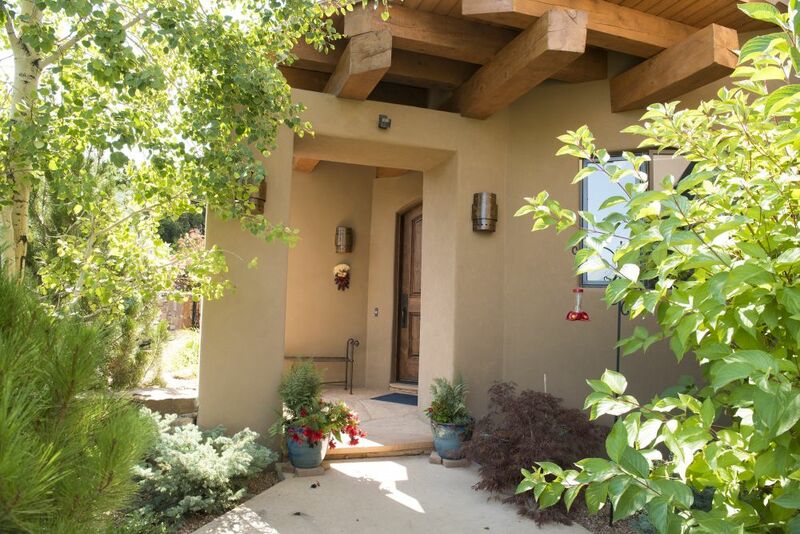 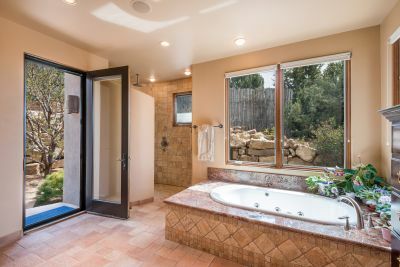 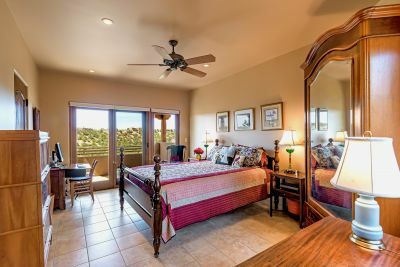 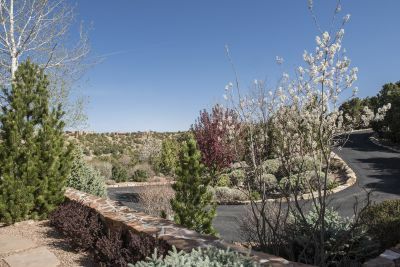 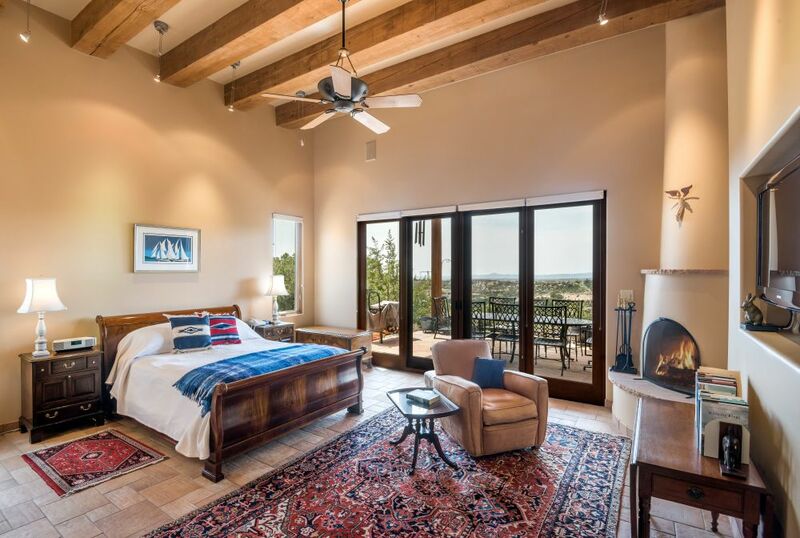 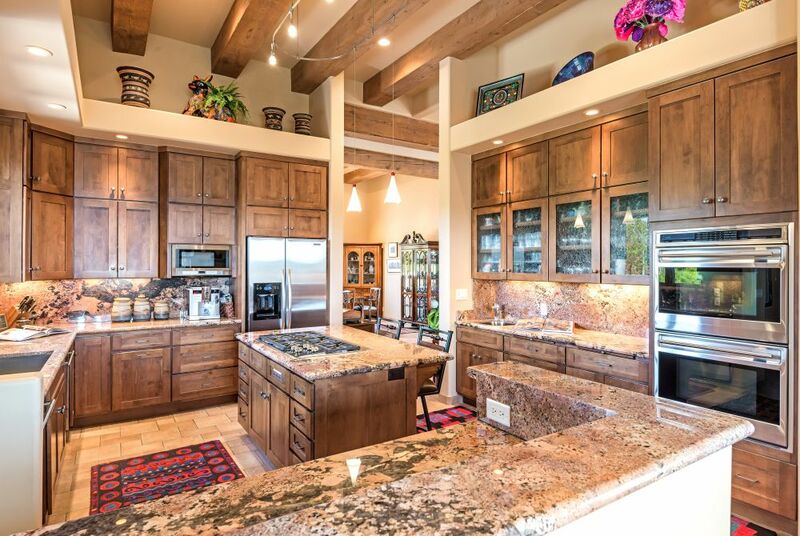 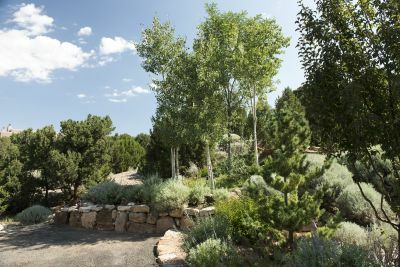 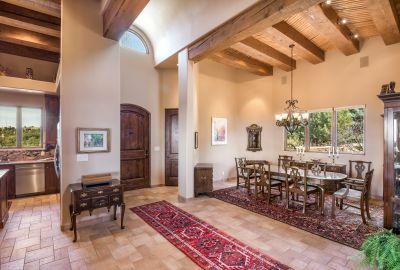 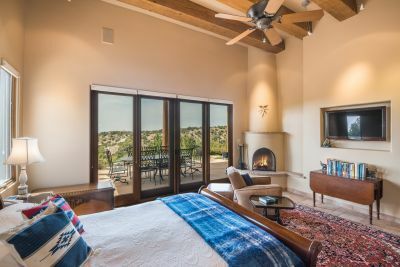 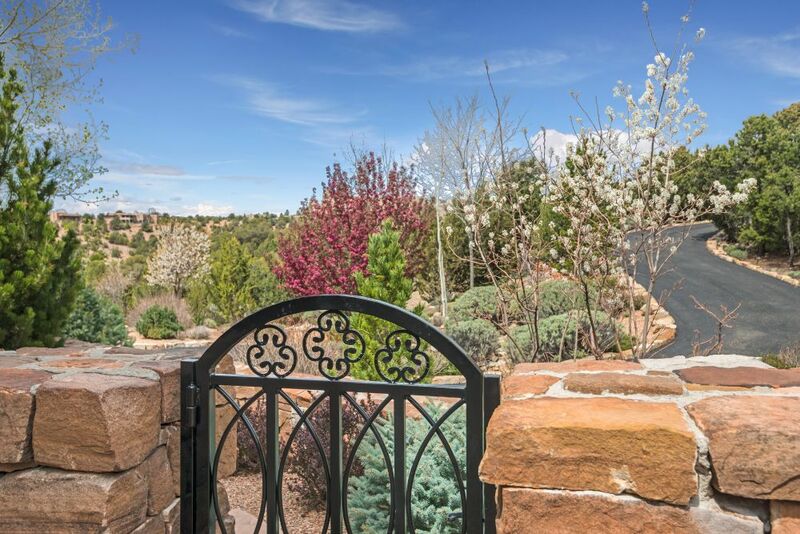 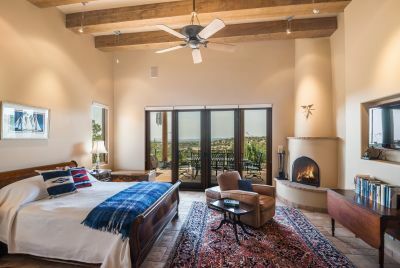 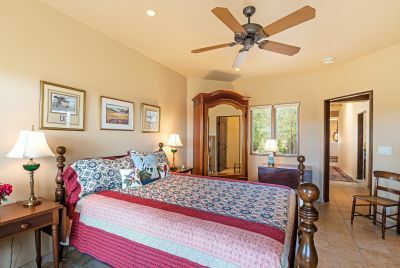 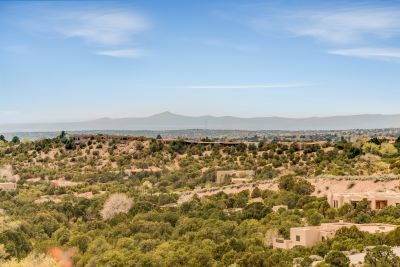 Outstanding Sierra del Norte contemporary pueblo home designed by Larry Andren, custom built in 2008. 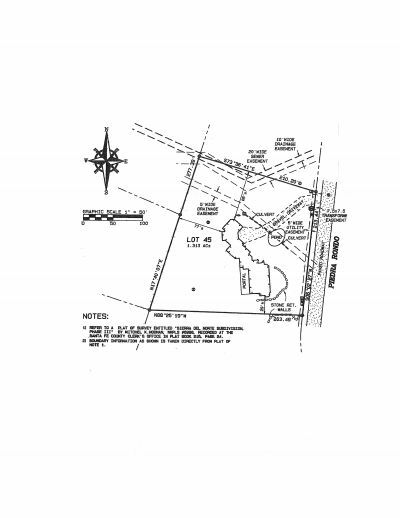 Private drive to the motor court and 3-car garage. 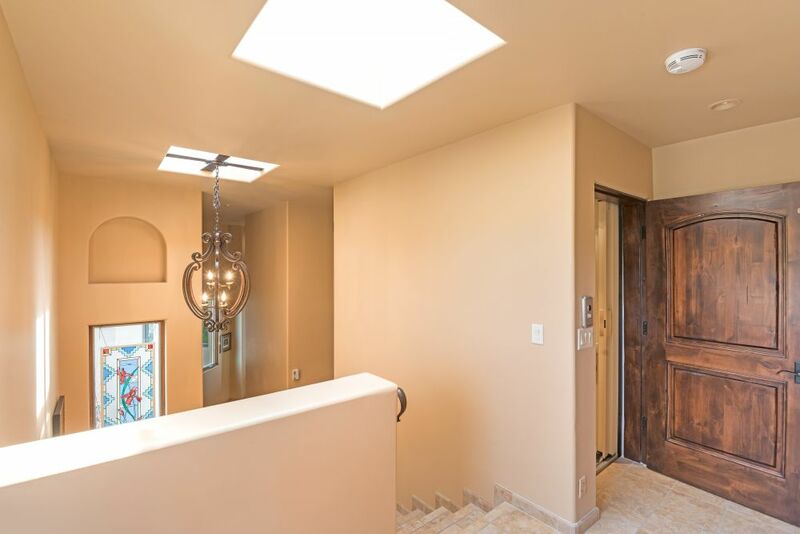 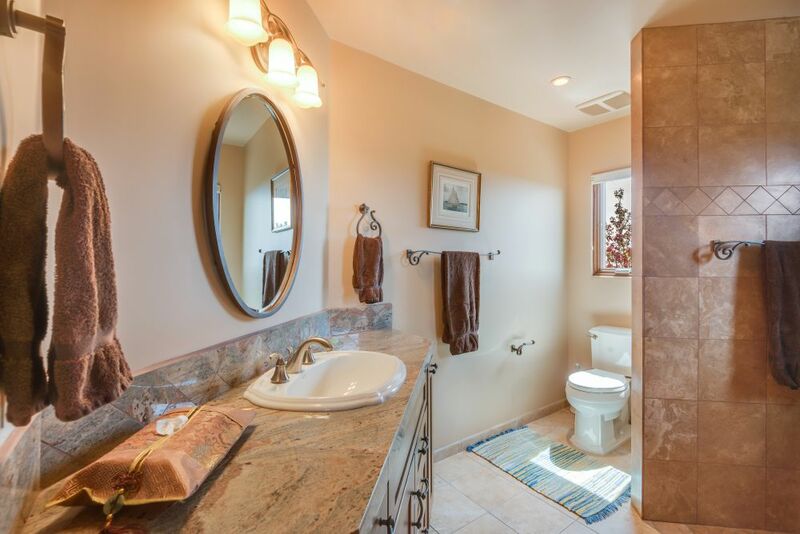 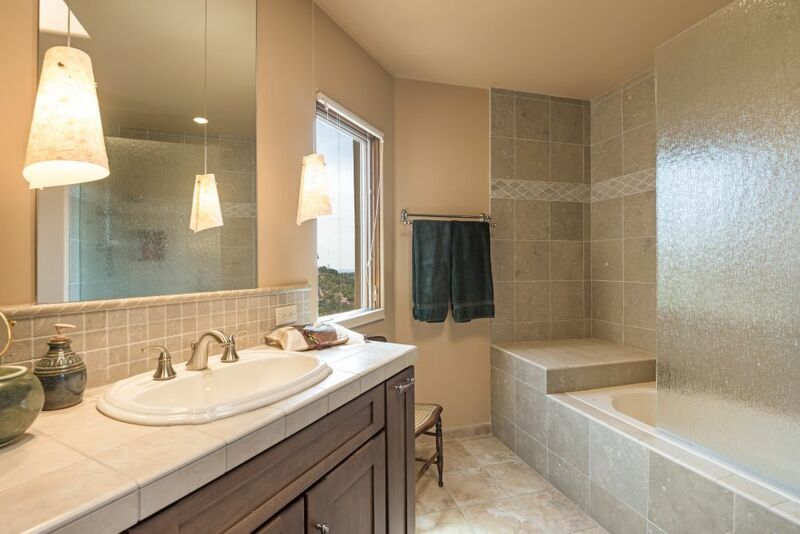 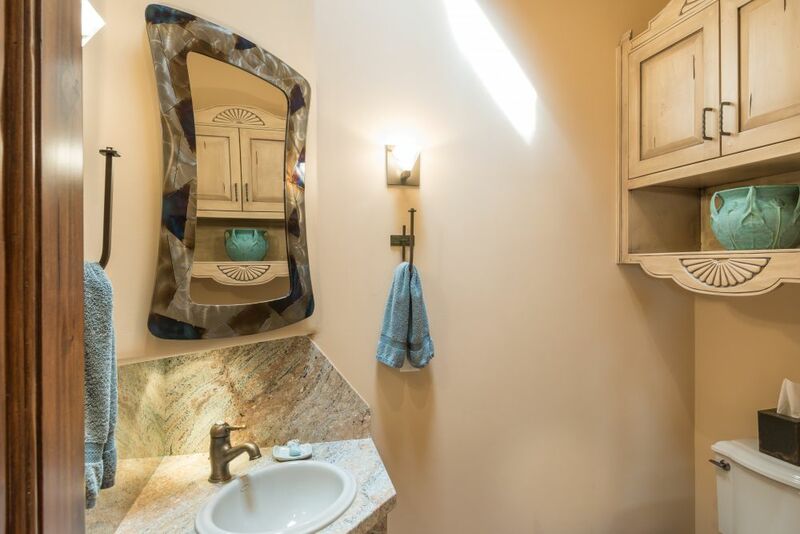 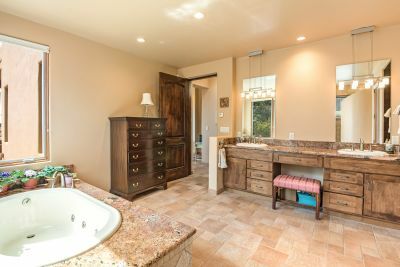 The main level has elegant Italian textured tile floors throughout, and ZERO steps. The 15&apos; high entry & galleria barrel vault ceiling is a stunning focal point. 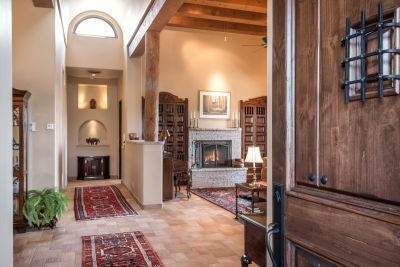 The handsome living room has a soaring beamed ceiling, fireplace flanked by gorgeous custom cabinets, and French doors to the Grand Portal. The superb kitchen with fine crafted cabinetry & luscious granite counters makes cooking a joy, with Wolf cook top & double ovens, Sharp microwave, 2 Asko dishwashers, and big pantry. 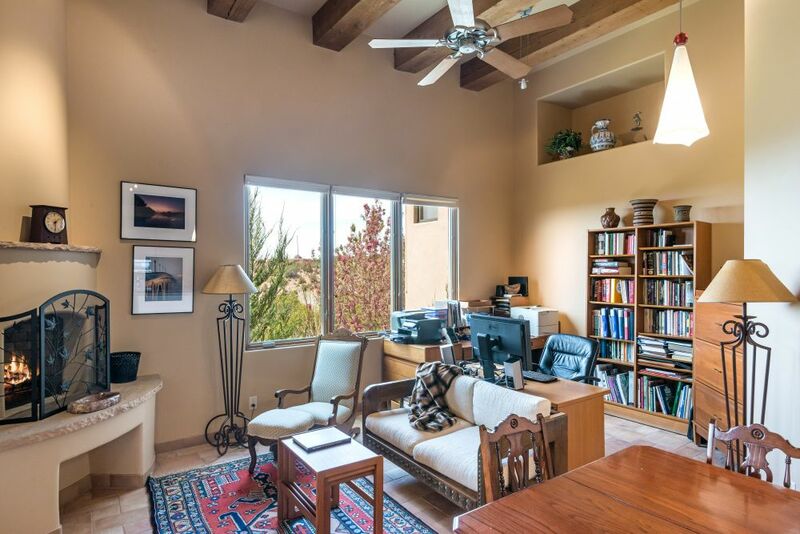 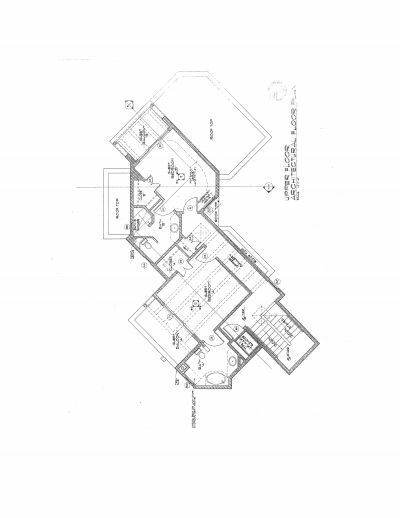 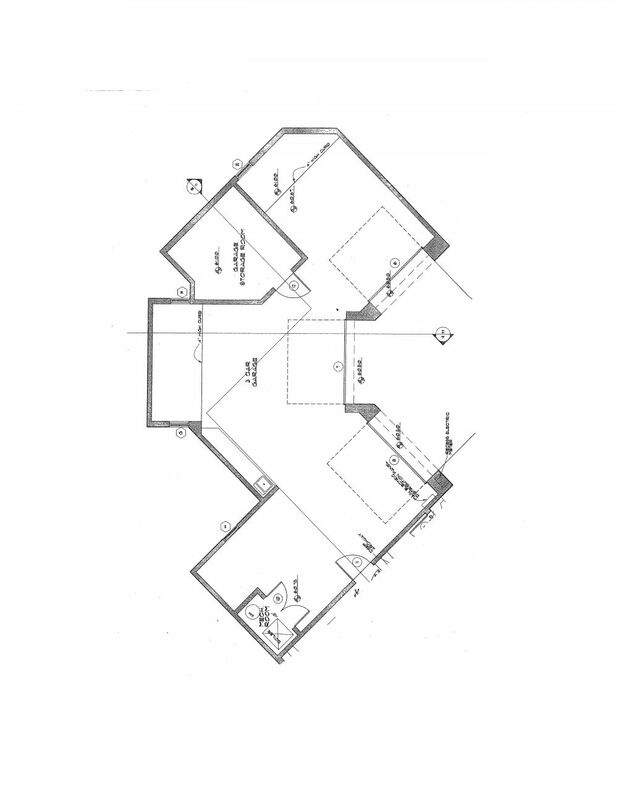 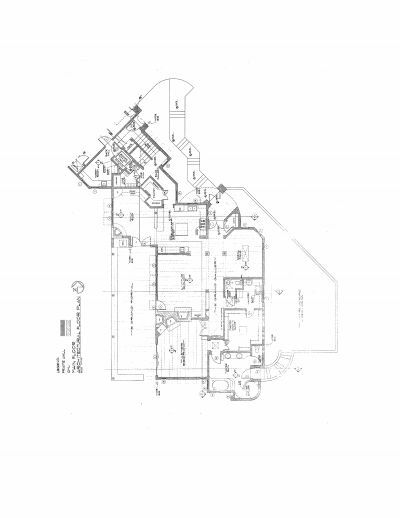 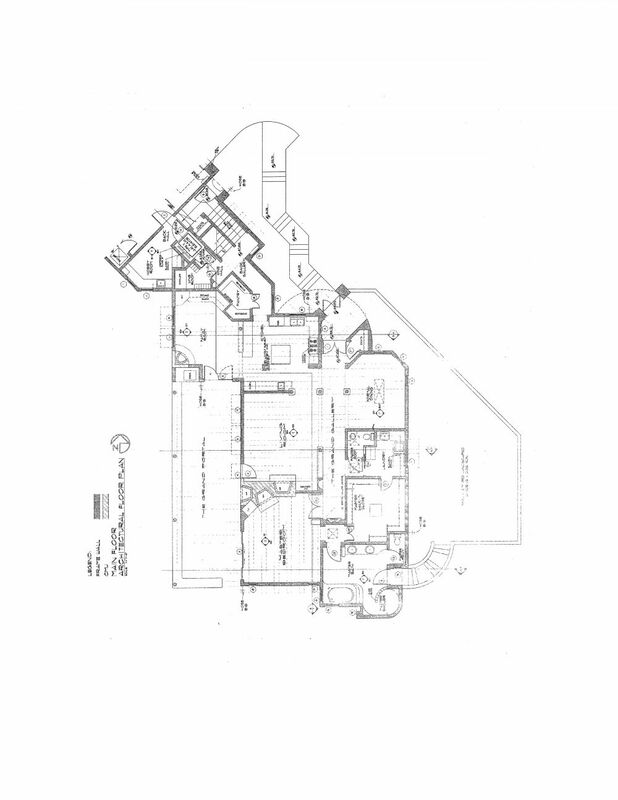 An adjacent 13&apos; high family room/office with fireplace accesses the Grand Portal. 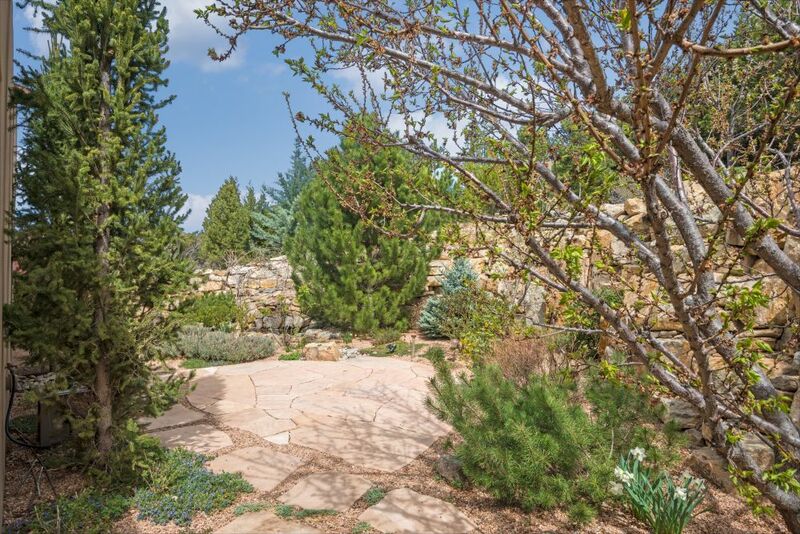 Entertain beautifully in the open dining room, or on the flagstone portal with gas grill outlets and kiva fireplace. 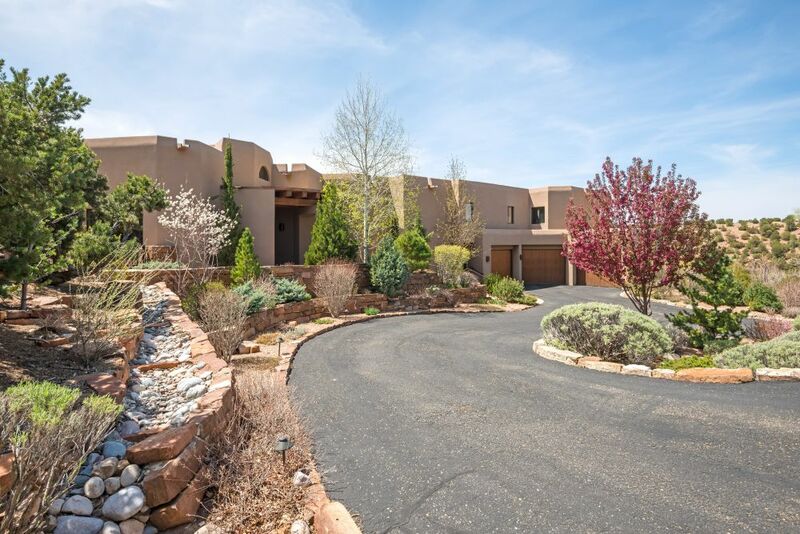 An excellent master features a 13&apos; beamed ceiling, kiva fireplace, French doors to the portal, a 12&apos;+ x 12+&apos; fitted closet, & spacious bath with jetted tub, walk-in shower & flagstone terrace with pond & waterfall. Take a half-flight of stairs or elevator to a separate two guestroom wing with en suite baths & big views. 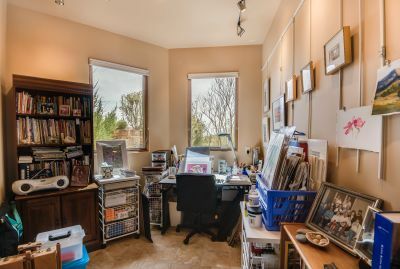 An art studio can also be a hobby/sewing room or office. 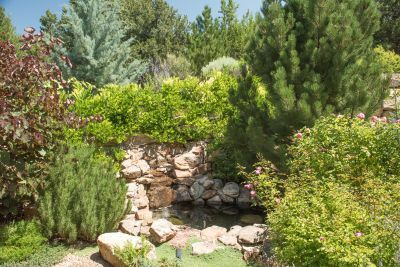 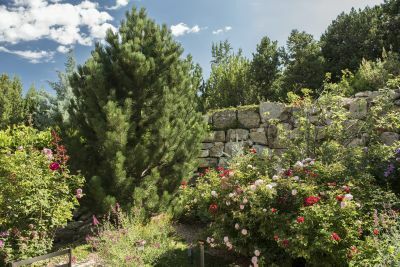 Fabulous established gardens, including evergreens, fruit trees and flowering shrubs, on drip irrigation. Impeccable!